This quick trick makes easy work of drilling holes through slick tiles. Cutting a hole through the glazed surface of ceramic tile can be tricky, as the glaze is slippery and ceramic is breakable. 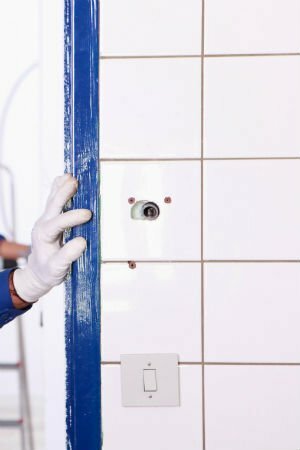 But if you need to mount a towel rack or toilet paper holder on an existing tiled wall, it’s an unavoidable task, as the anchor screws for the fixtures have to get through the tile and into the stud or backer board behind it. Luckily, a little help from a DIY staple can make the process much easier. The key to keeping your drill from slipping and sliding is as simple as a strip of painter’s tape. This non-damaging adhesive gives your bit traction and prevents it from meandering all over the tile, which can mark up your surfaces with unsightly scratches. And, unlike masking tape, it won’t leave gummy residue in its wake. To start, make a cross with two pieces of painter’s tape at the drill site. Use a permanent marker to draw a dot on the tape where the hole must go. Next, create a starter hole by gently tapping a center punch on the dot to penetrate just below the surface of the glaze. 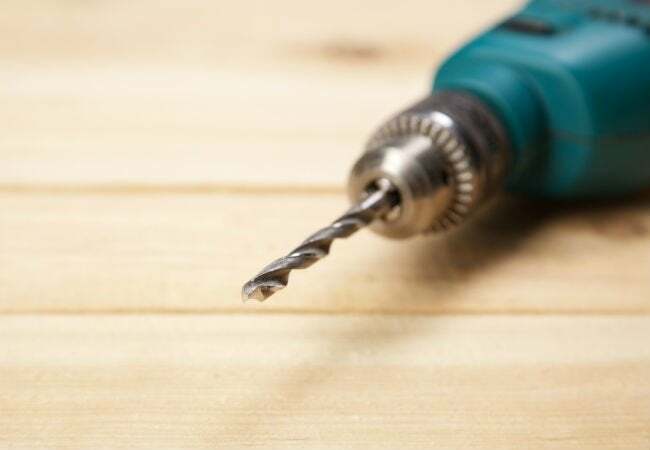 Assemble a carbide-tipped masonry bit of the appropriate size in your drill, and set your power tool to the lowest speed. Apply moderate pressure as you proceed, working slowly to avoid splitting the tile. If the bit starts to overheat, lubricate it with water or cutting oil every 15 to 30 seconds. You can spray the tip of the bit with water as you drill, or dip the tip in cutting oil, remembering to wipe off any residue before resuming. Once you’ve made it through the tile, remove the tape to reveal a clean hole that’s ready to take on its new fixture.